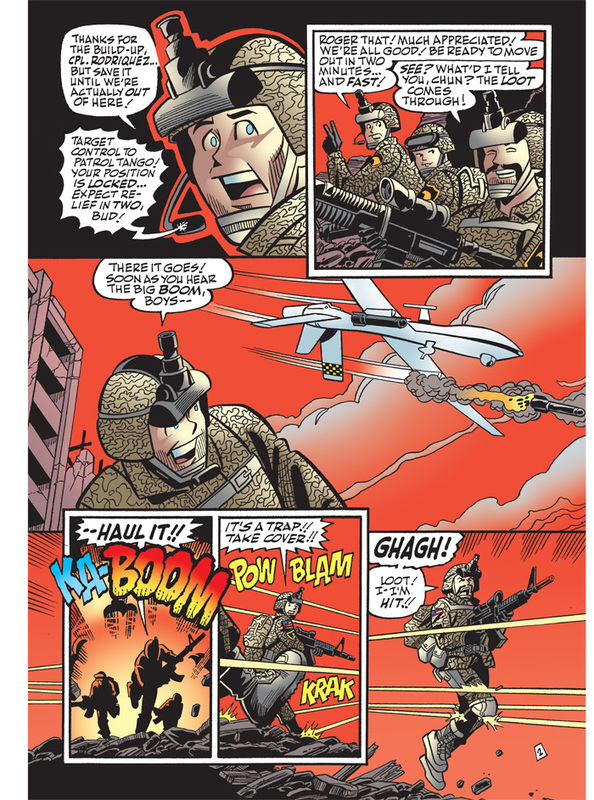 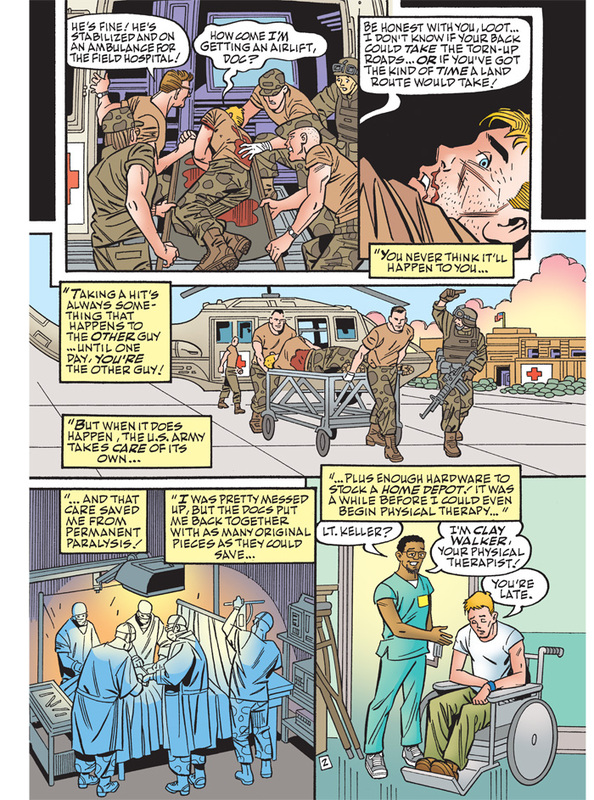 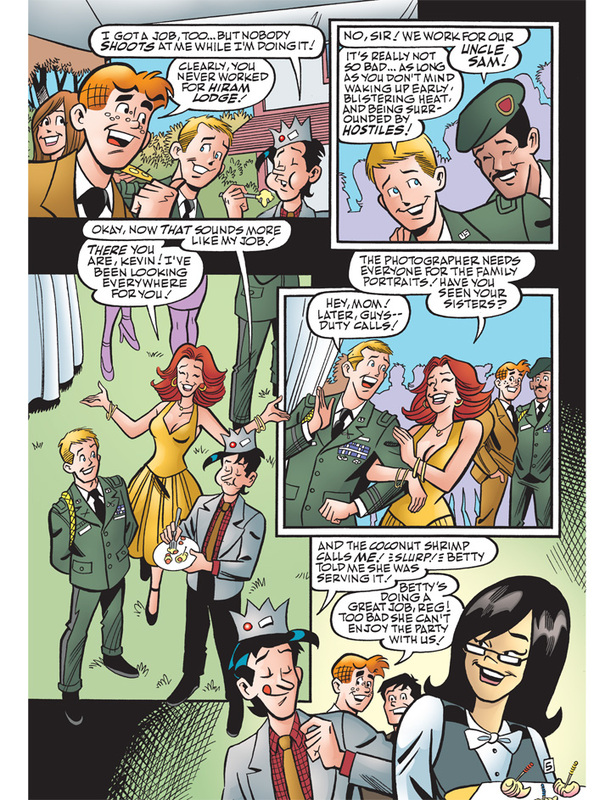 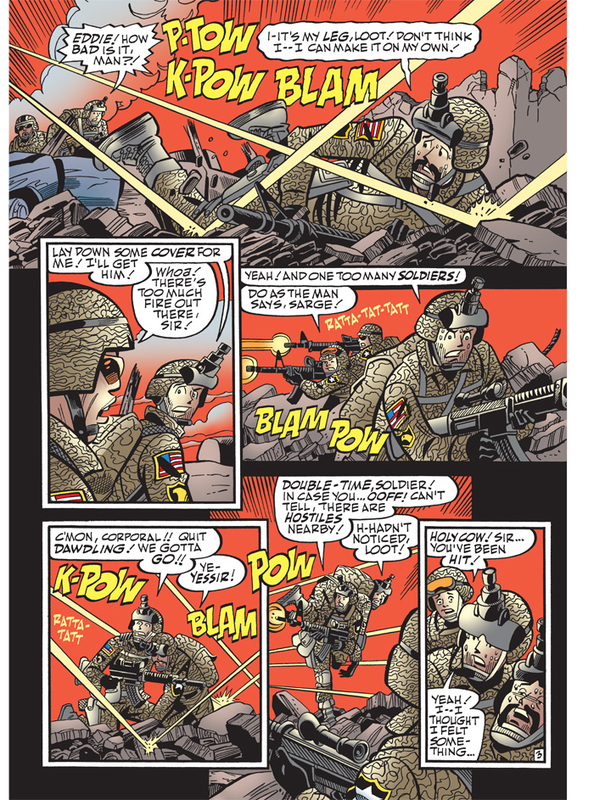 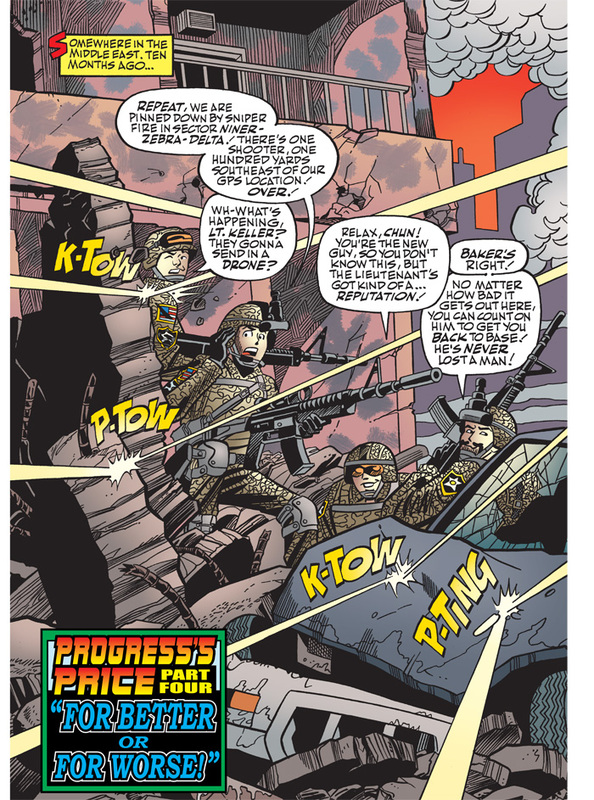 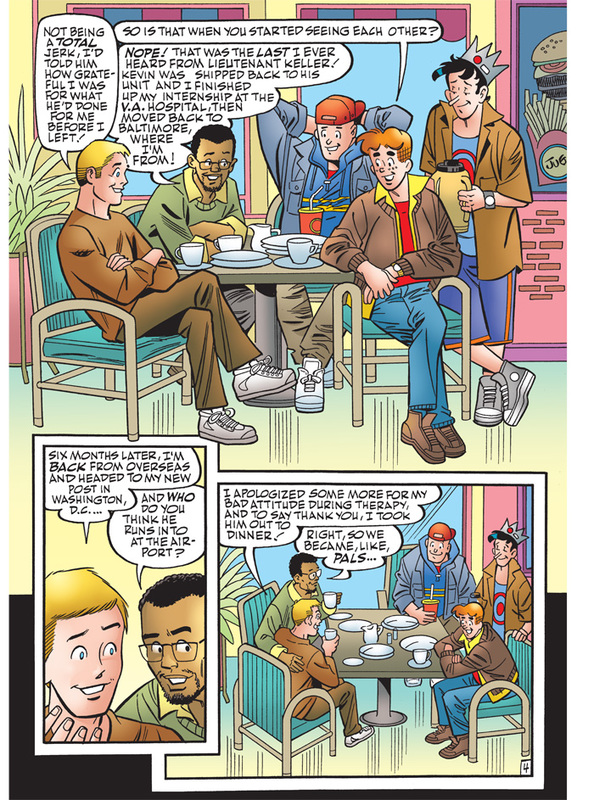 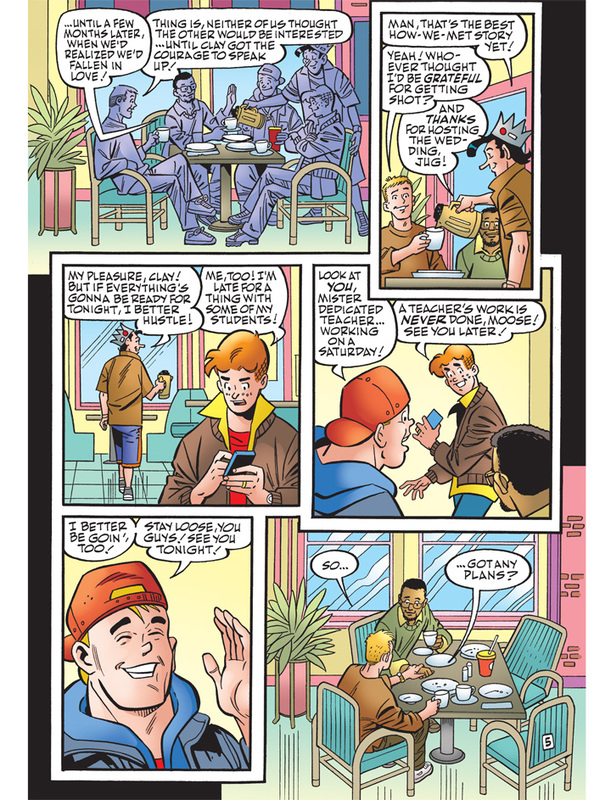 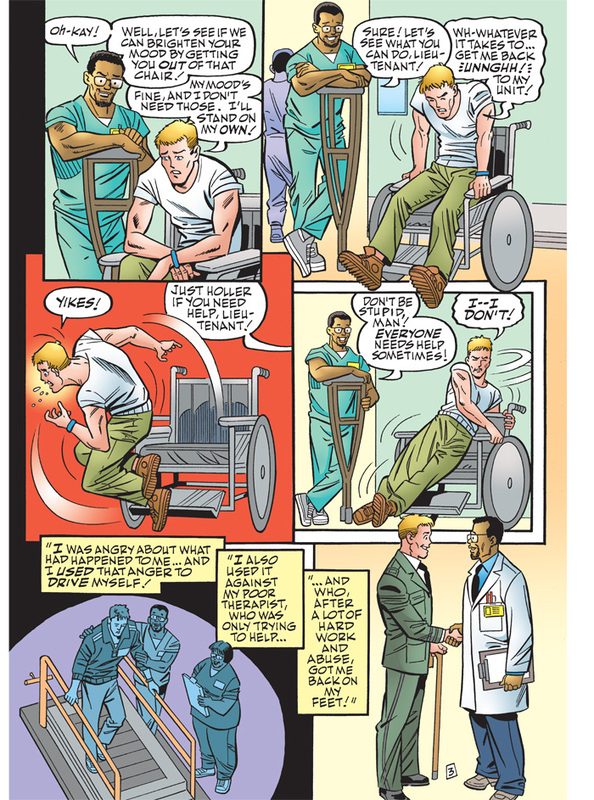 Archie Comics has provided the following set of action-packed preview pages showing some of Kevin’s military career and how he met Clay Walker, his physical therapist and later boyfriend; click for larger versions. 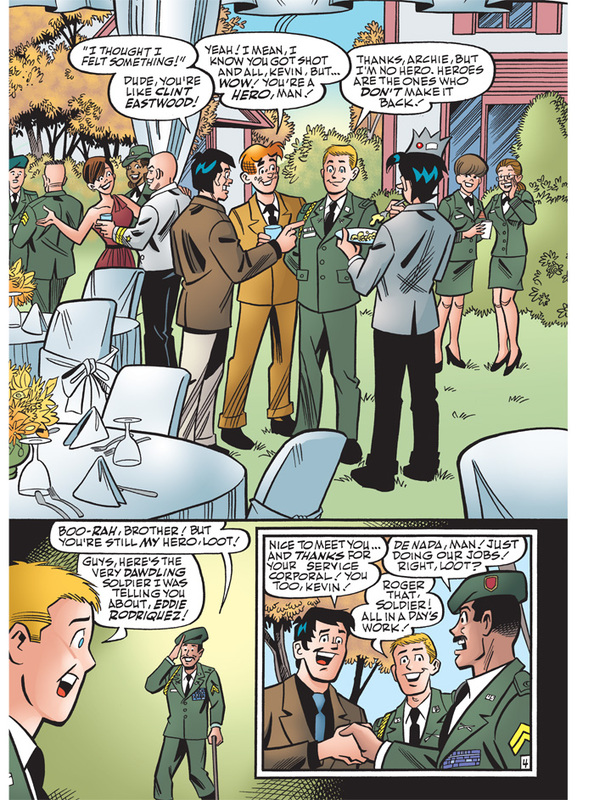 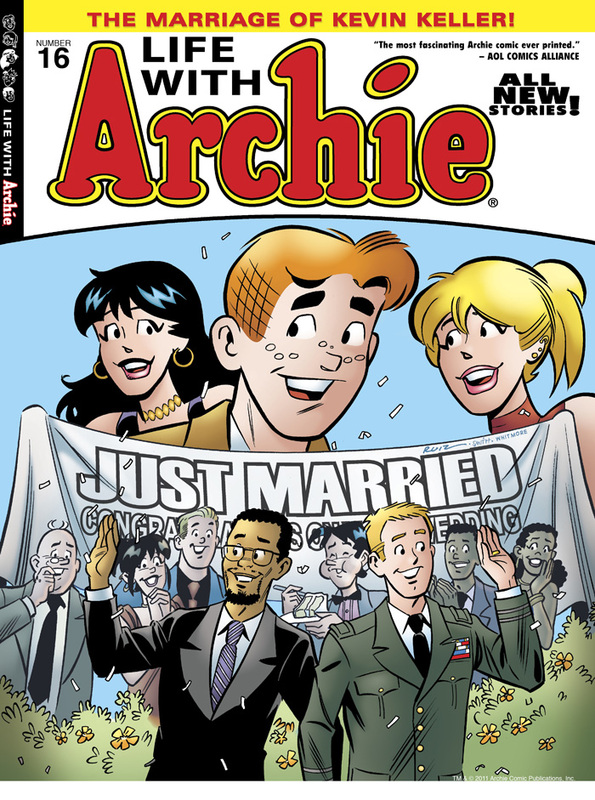 Although it wasn’t specified, the first set of pages is from the “Archie Marries Veronica” timeline, while the second is from the “Archie Marries Betty” version. 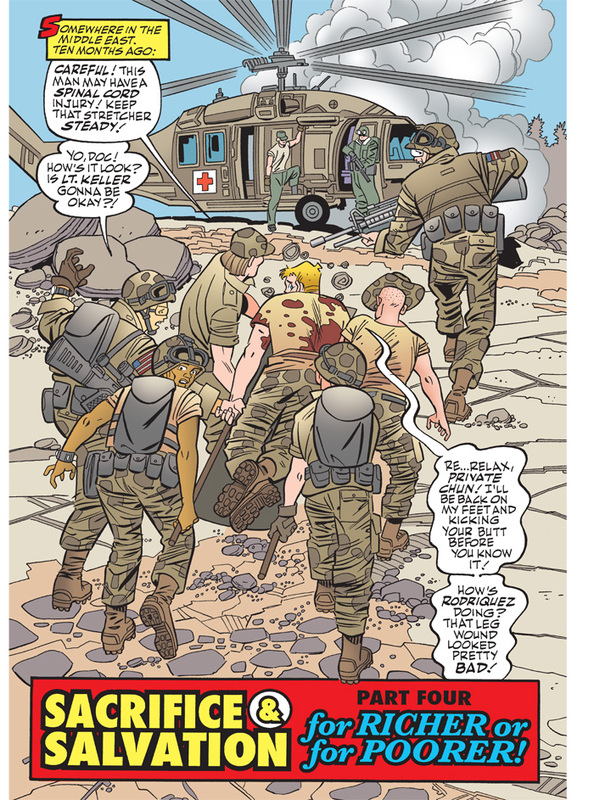 Script is by Paul Kupperberg; art by Fernando Ruiz, Pat Kennedy, Tim Kennedy, Al Milgrom, and Bob Smith.